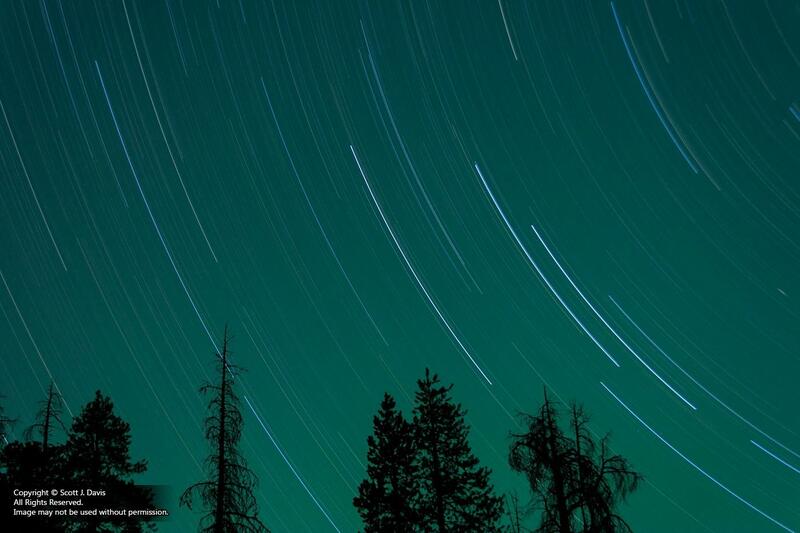 The stars of the Big Dipper are setting in this dramatic 90-minute star trail exposure taken from Courtright Reservoir. 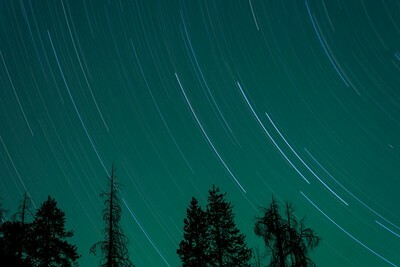 Camera settings were ISO 100, f/5.6, 90-minute exposure. In-camera dark frame subtraction (noise reduction) was turned on.